TME’s offer has been enriched by a new series of constant current PSUs for LEDs from MEAN WELL with high output voltage. The ELG-100-C series can be used in illumination systems both indoor and outdoor, even in harsh conditions. 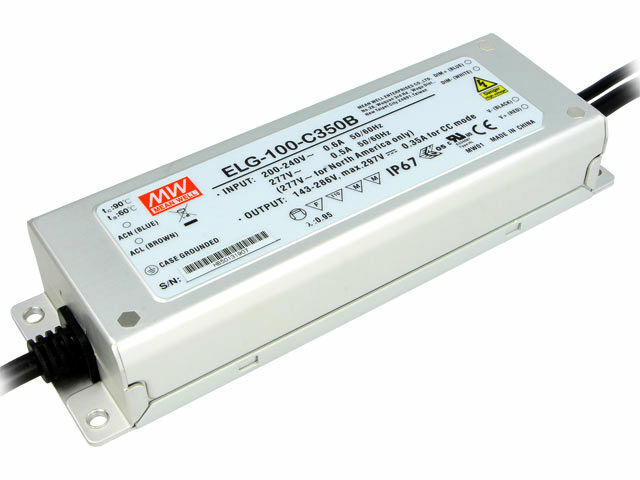 The products from the ELG-100-C series have the input voltage of 180...295 V AC (255...417 V DC), provide 92% efficiency, and can operate in temperatures from -40 to 90°C (with passive cooling). The PSUs are available in a standard version, with the feature of output current regulation, and also with Dimmer mode. The entire ELG series features the active Power Factor Correction (PFC) function.